Up and walked Mix before breakfast. 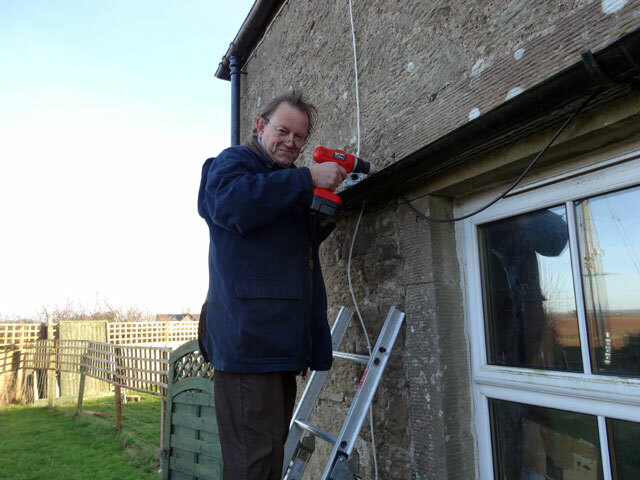 David arrived and set about completing the cabling of the wifi and telephone contacts with the Bothy. It took a long time, primarily because it was so very cold. Several coffee breaks and a lunch trip into Berwick were required to facilitate the completion of the exercise, but completed it was by the middle of the afternoon. I spent the rest of the afternoon and much of the evening in the summerhouse with Mix preparing my end-of-year accounts. Now that they are just for me I am enjoying the exercise enormously. I took a break naturally for supper and also to watch a Montalbano film but otherwise I was in the summerhouse where Mix and I worked through until almost one in the morning. It was fun!